Old Testament Bible stories | Let their light shine! 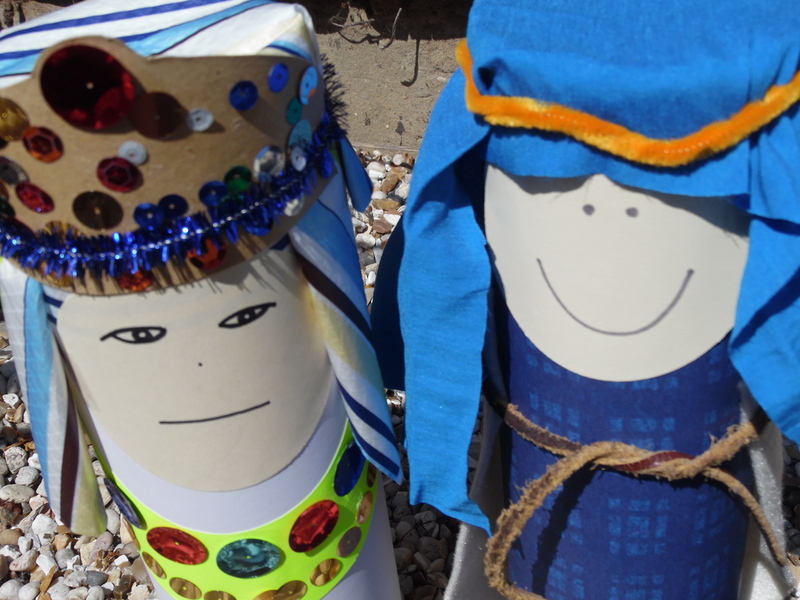 What you need – Abraham (this picture was from a google image search), blue sugar/construction paper, green sugar/construction paper cut into a narrow strip, a cloud (optional – you could use cotton wool), a tent shape, glue, tissue paper and/or fabric squares. To make the tent shape – use the same size paper as for the blue background and trim about an inch off the bottom. Then fold as you see in the picture below. I pre-made the basic tent shapes in different colours in advance. Our Bible Story was all about how Abraham left his home and went to a new land that God had promised to show him. This is found in Genesis 12:1. ‘Abraham’ came to toddler group in the Story Bag! We did lots of pointing to our ears when we heard how Abraham listened to God and lots of walking as we heard how Abraham did what God said and went to a new place to live. Bible story from Exodus 8. This is part of our series of stories about animals in the Bible. 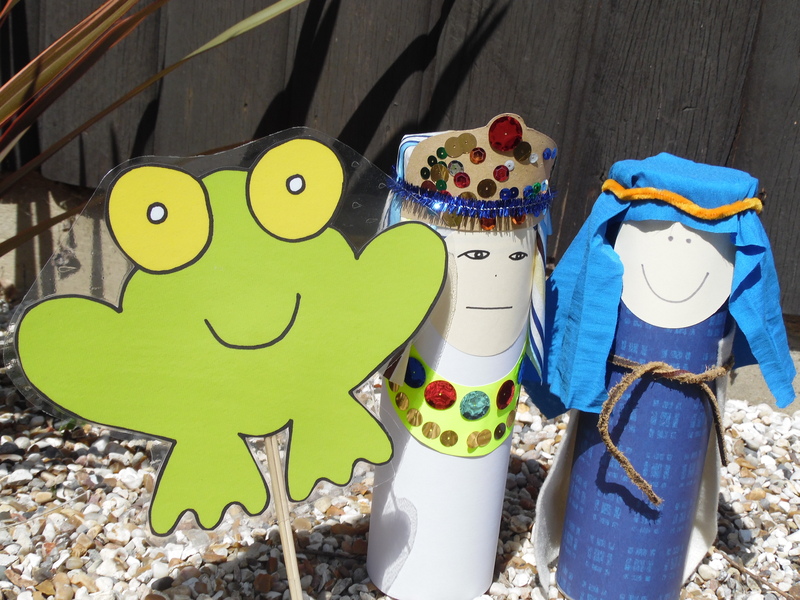 Meet the main characters – Moses, Pharoah and frogs! Moses was the leader of God’s people. God’s people lived in Egypt. They were very sad (can you look sad). Everyday they had to make bricks. they made bricks 1,2,3,4,5,6,7, days a week. It was hot and dusty and horrible. So Moses went to see the King of Egypt. ‘No’ said the king of Egypt ‘i won’t’. It’s always a bad idea to ignore God. Not just 1 frog, or 2 frogs or even 10 frogs but lots of frogs. When the people wanted to cook food there were frogs in the oven, when they went to get a wash there were frogs in the water, when they went to bed there were frogs under the covers! frogs everywhere! When the king went to sit on his throne there were frogs already sitting there! ‘Take the frogs away’, said the King. So Moses asked God to take the frogs away and God did. Now the frogs were back in the river. After the story we sang our ‘new’ song. This went down really well.